Traveling to developing areas of the world this summer, studying abroad next semester or considering a volunteer position in another county over break? Awesome! Start making preparations now to protect your health while you are away. If you are wondering how to prepare for your trip, Campus Health Services (CHS) International Travel Clinic is here to help! Follow the 5 simple steps below to get started. Step 2: Download the Travel Questionnaire. You can visit the CHS Travel Clinic website or click here to access the questionnaire. With the information on the questionnaire, CHS staff can address topics specific to your destination, no matter where you are traveling. You will receive individualized recommendations to help you prepare for a safe and healthy trip. Complete, sign and return the questionnaire by noon Friday to be scheduled for a travel clinic the next week. This will allow CHS staff time to prepare destination specific recommendations. Be sure to plan ahead! Clinics fill up quickly in the weeks before spring break and at the end of the semester. If traveling with a group, we suggest attending the class together to make sure everyone is on the same page and ready to go. If you are unavailable during these class times, individual sessions can be scheduled – call 919-966-6573 for more info. Step 4: Attend the Group International Travel Clinic class. You may not want to think about more class time prior to an exciting trip but we think it’s worth the time! This class offers an informal setting to talk with CHS medical staff and fellow travelers about your preparations. It is a great opportunity to make sure you haven’t forgotten something important on your travel checklist. Allow 2 hours when you attend the class because any immunizations needed for your trip can be given after the classroom portion is complete. If you can’t stay that long, you can schedule a separate appointment just for travel immunizations. NOTE: There is a $50 fee for the class as well as a $25 “no-show” fee if you do not attend your scheduled class time or reschedule. The travel clinic class covers a broad range of topics relating to points across the globe that might be outside of your destination. You might think this is strange but it is done for a specific reason. 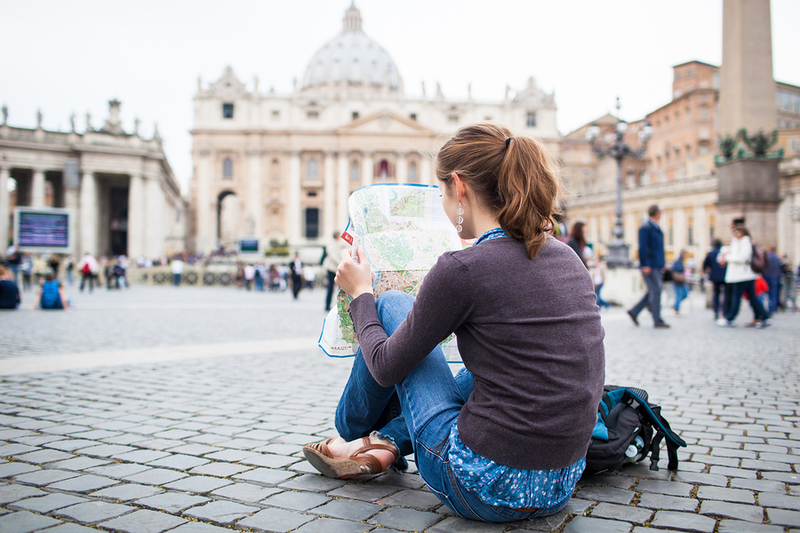 If traveling again even to a different destination, you will not retake the classroom portion of the clinic. CHS will provide recommendations and prescriptions for subsequent trips as long as you are still an eligible member of the UNC community for a reduced price of only $20. Just fill out a questionnaire for your new itinerary, turn it in and wait for the call that your travel packet is ready to pick up. This is a great deal! 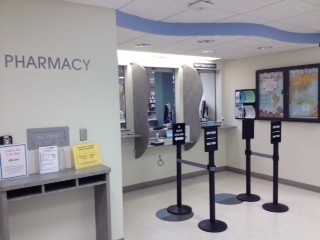 Step 5: Fill and pick up your travel prescriptions at the CHS pharmacy. At the class, you will receive prescriptions for medications and vaccination recommendations based on your itinerary. If your prescription insurance information was available, these prescriptions have been filled downstairs in the CHS pharmacy. If not, bring the prescriptions down to the pharmacy and the staff will get them ready. 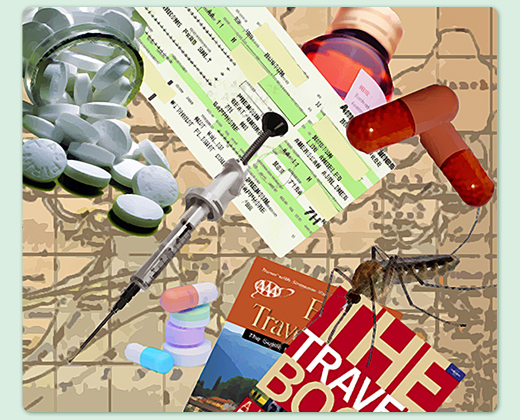 The CHS pharmacists are very experienced with the medications and immunizations needed for travel across the globe. You will have a chance to meet briefly with the pharmacist to make sure your anti-malarial quantities are correct and to ask any other burning questions you might have. NOTE: There may be co-pays for your travel medications based on your prescription insurance. Be sure to visit the Healthy Heels Shoppe in the basement of CHS next to the pharmacy! 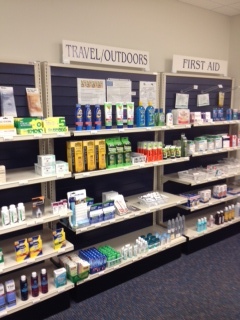 They carry most items recommended in the Travel Clinic class and other items you may want to consider for your travel. You might be surprised by what you can find so come see us! Check out the items typically stocked here in the Healthy Heels Shoppe! After completing these 5 simple steps, you will be ready to enjoy your trip. We hope you have a great time wherever your travels are taking you and look forward to seeing you back on campus safe and sound!